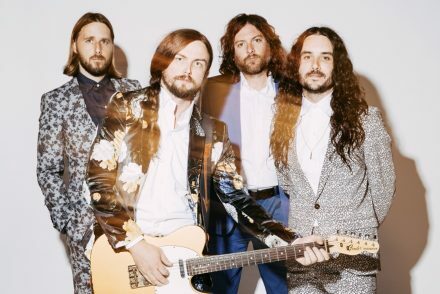 Rumour Cubes to release new album 18th August! 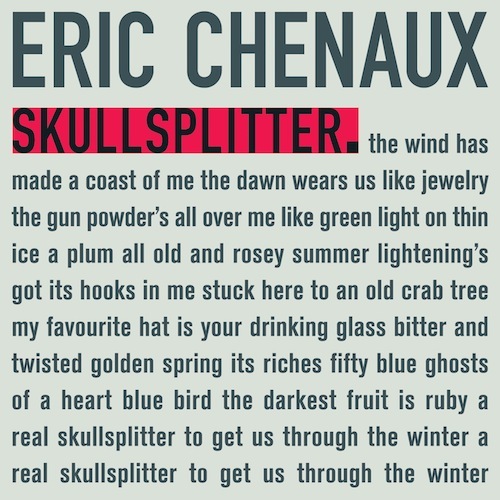 “It’s the final track, ‘At Sea’, that is truly breathtaking and marks these guys out as ones to watch out for….building upon achingly lovely interplay between the strings, creating an incredible sense of wistful melancholy that just makes me want to listen to it over and over. Rumour Cubes are a London-based six piece who fuse violin & viola, guitars, electronics and visual media into extraordinary cinematic soundscapes. United by their shared love of pushing the boundaries of music and technology beyond the everyday, the band construct a symphonic environment wherein dense ambient textures and intricate rhythms underlie beautiful string melodies. 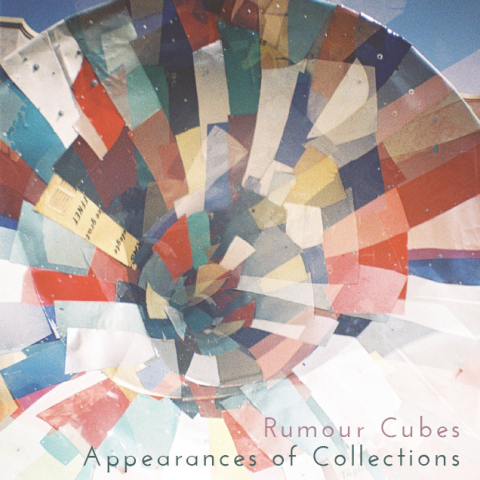 In February 2012, Rumour Cubes released their debut album, The Narrow State, which was described by The 405 as “an accomplished debut effort from a potentially brilliant band.” Appearances of Collections shows a band who have fully realised that potential. The album will be released on 18th August, shortly before they perform on the main stage at ArcTanGent Festival. 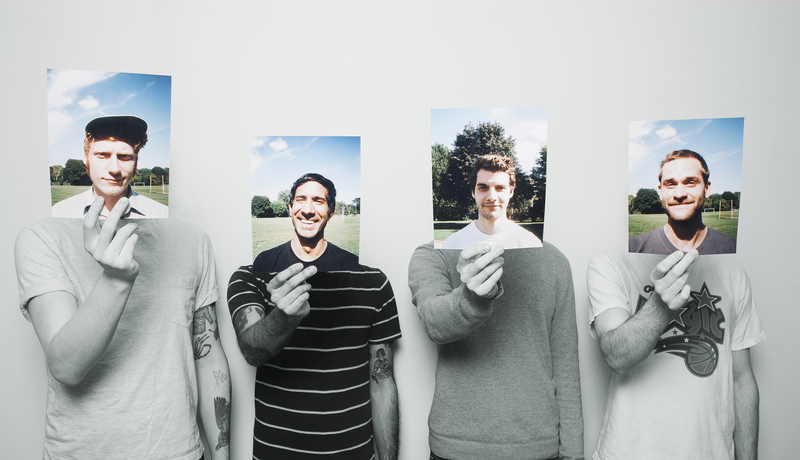 Last week ArcTanGent premiered the first track from the new album. Appearances of Collections is a blend of disparate sonic landscapes, drawing from the ambience of A Winged Victory For The Sullen, the haunting melodies of Olafur Arnalds and the tonality of Vaughan-Williams, juxtaposed with rhythms and dynamics that lean more towards Tool or Battles. The result is a wordless narrative expressed through interwoven strings, complex rhythms, epic guitars and driving basslines; Appearances of Collections is an emotional, textural experience which will take you on a journey through euphoria, anger, heartbreak and hope. In 2013 Rumour Cubes played at Glastonbury, Southend and Truck festivals alongside Sam Duckworth (Get Cape. Wear Cape. Fly). The set at Glastonbury was a live mixtape which also included Sweet Billy Pilgrim, Jehst, Riz MC, Grace Petrie, Kate Nash & Billy Bragg, and was the headline act on the Leftfield Stage on Sunday. Rumour Cubes are Joe Bartlett (bass), Jay Malhotra (guitar), Hannah Morgan (violin), Terry Murphy (viola), Omar Rahwangi (drums) and Adam Stark (guitar).